Common Ground Mediation has a panel of independent, experienced mediators. They have a wide variety of professional backgrounds, and they all have an accredited qualification in mediation. All our mediators are fully briefed on additional support for learning legislation and the Scottish education system in practice. Andrew Boyd works predominantly with young people and their families. 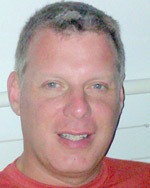 Initially trained in community mediation, Andrew also mediates in workplace, employment and landlord/tenant disputes. Andrew is a member of the management committee of the Strathclyde Mediation Clinic and is a lead mediator in the small claims court in Glasgow Sheriff Court. Following completion of an LLB in Law, Andrew completed his MSc in Mediation and Conflict Resolution at Strathclyde University. Andrew is a panel chair working with the Children’s Hearing system in Glasgow. Andrew is a registered mediator with the Scottish Mediation Network. Lesley Fairley has been working as a mediator since 1995, and she took over the role of Director of Common Ground Mediation in 2016. For over 20 years Lesley has worked extensively as a mediation practitioner, trainer and facilitator in both the voluntary and private sector in a wide range of settings. Lesley’s mediation experience includes community and neighbour, homeless young people, workplace, peer mediation in schools, and additional support needs. Lesley has a Level 4 SVQ in Mediation , and she has accumulated a wealth of experience and knowledge about managing, resolving and reflecting on conflict and the impact it has on people and their daily lives. Morag Steven has been working to develop additional support needs mediation in the Scottish education system since 1999. 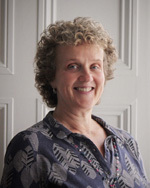 As the former director of Common Ground Mediation until 2016, Morag contributed to a number of initiatives, including the production of national standards for ASN Mediation Services in Scotland. Morag is also an experienced mediator across a range of other areas, including community and neighbour, workplace and employment, family work, and equalities mediation. Morag is a member of the panel of mediators for the Scottish Legal Complaints Commission, and she completed the MSc in Mediation and Conflict Resolution at the University of Strathclyde in 2012. 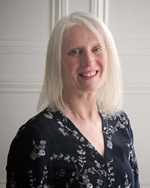 Morag is a registered mediator with the Scottish Mediation Network.